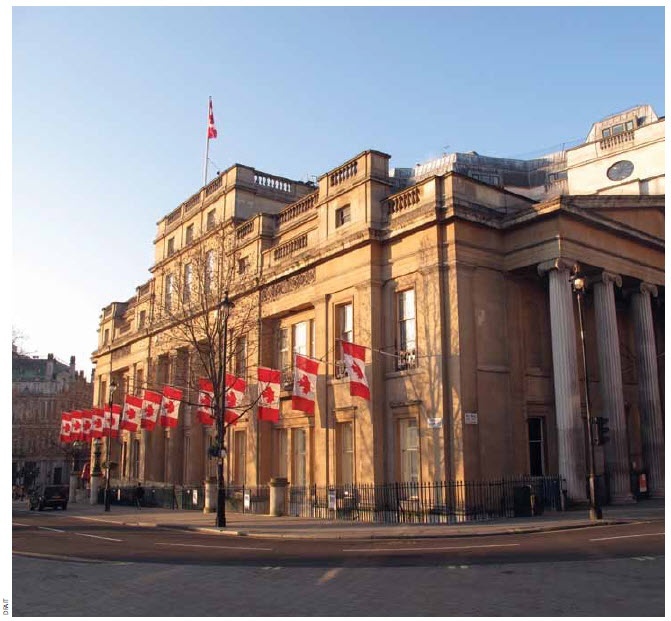 Canada house is the High Commissioner’s house here in London. It sits on Trafalgar Square across from the National gallery in an area known in London as “Little Canada”. It’s little Canada because across Canada House you find the old Canadian Pacific headquarters and behind them around the street is the building where the Grand Trunk Corporation used to be. Canada House used to be home to two buildings. On one side, the Union Club, (a gentlemen’s club) and on the other side the Royal College of Physicians. The Canadian government acquired the defunct Union club in 1923 and later when the Royal College of Physicians moved, Canada acquired that building as well and connected the two to make one big House. It has been under massive renovations since the fall of 2012. 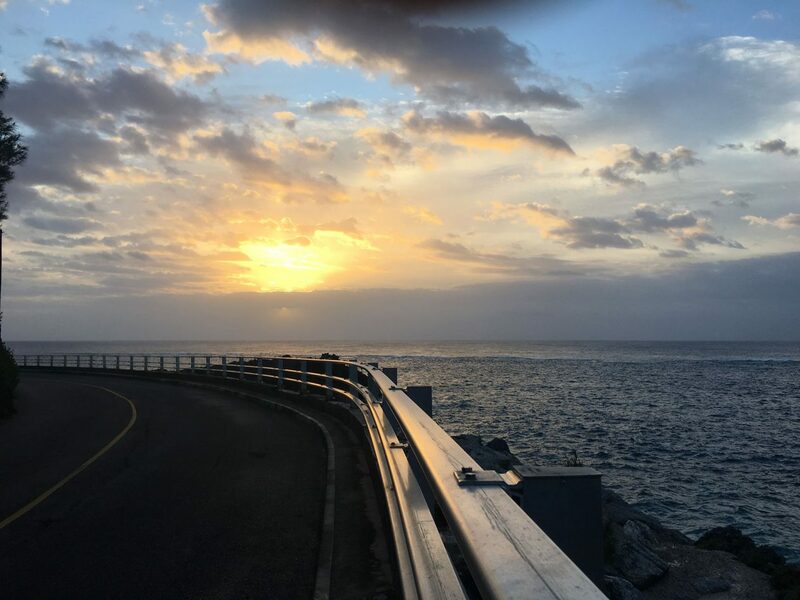 It just reopened last February and it is absolutely breathtaking. Your Canadian tax dollars at work! The architects and designers decided to solely use materials, light fixtures and artwork from Canada. All the wood is from various parts of Canada. Every light fixtures had to be adjusted for UK electricity. Every single rug was designed by a Canadian artist. Tables, chairs, credenza, paintings, sculptures, books etc… all from Canada. Every room is named after a Province, a territory or an ocean. 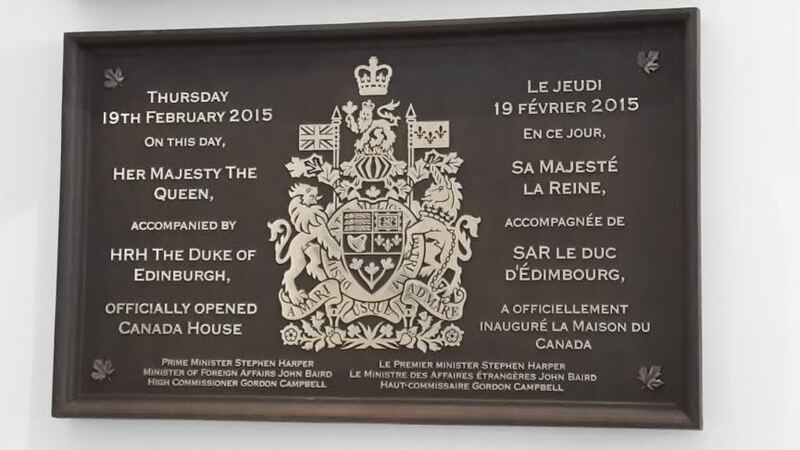 There are also 3 rooms named after two wartime Prime Ministers, (William Lyon Mackenzie King and Robert Borden) and one for the first Prime Minister (Sir John A. MacDonald). The size of the rooms is according to the population of that province/territory. Since this is a working diplomatic office, we were able to view some of the rooms but not all of them. 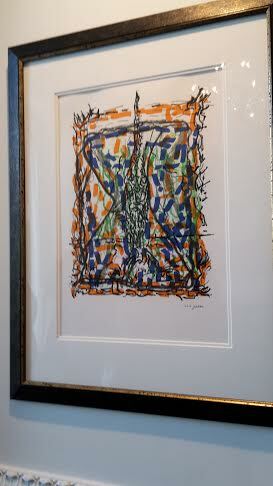 A painting from Jean-Paul Riopelle sits in the Quebec room. Also found in this room, a beautiful rug with the lyrics “Mon pays ce n’est pas un pays c’est l’hiver” bordering it as well as a beautiful desk and various works of art from Quebec artists. 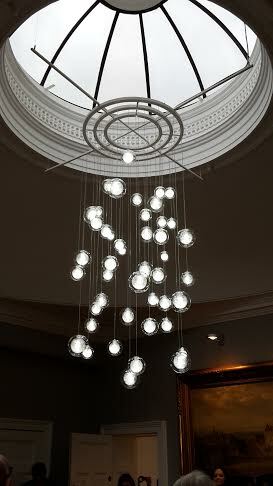 The light fixture in the Ontario room as well as the incredible round cedar table. The Ontario room is where the gentlemen belonging to the Union club used to play cards. 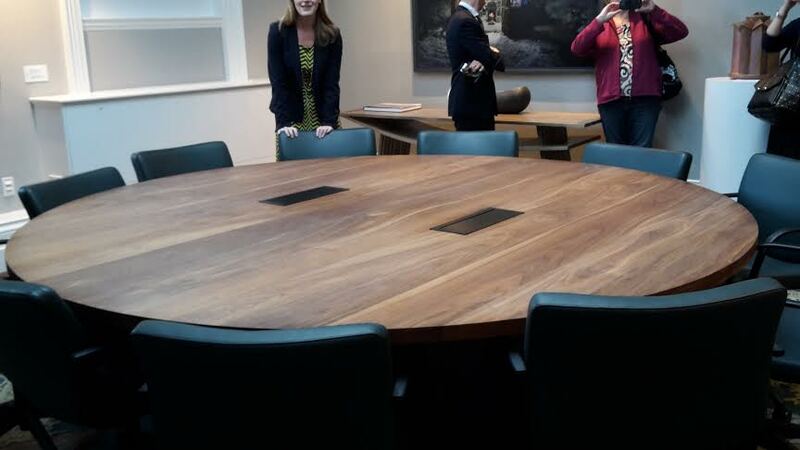 The designer thought it was appropriate to put a round “card table” in this room. 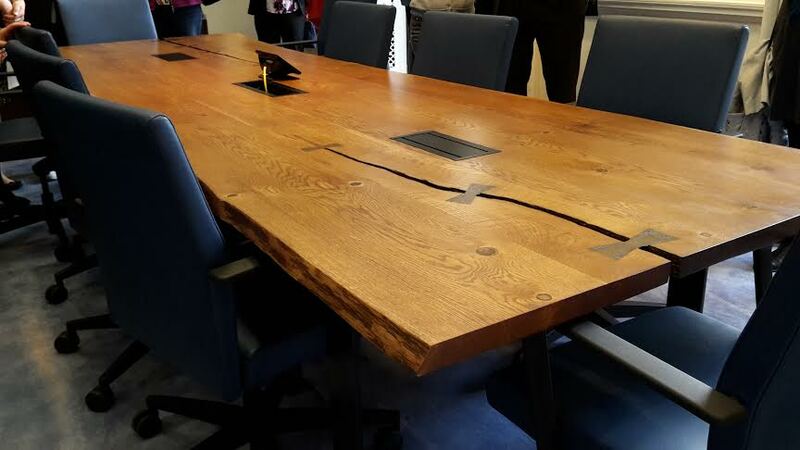 Look at this beautiful table in the Manitoba room. This is where you also find Winnie the Pooh. She brought us to the “attic”. Apparently this was a room full of employees in their cubes. Now it’s a nice event room with gorgeous views. 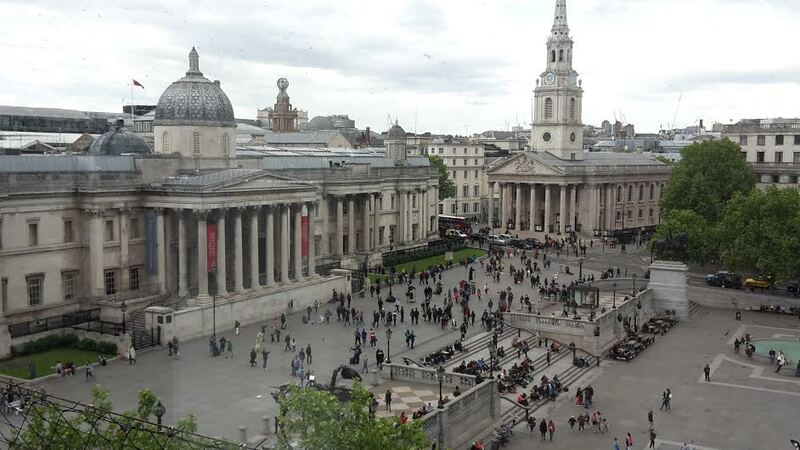 View of the National Gallery from the attic. 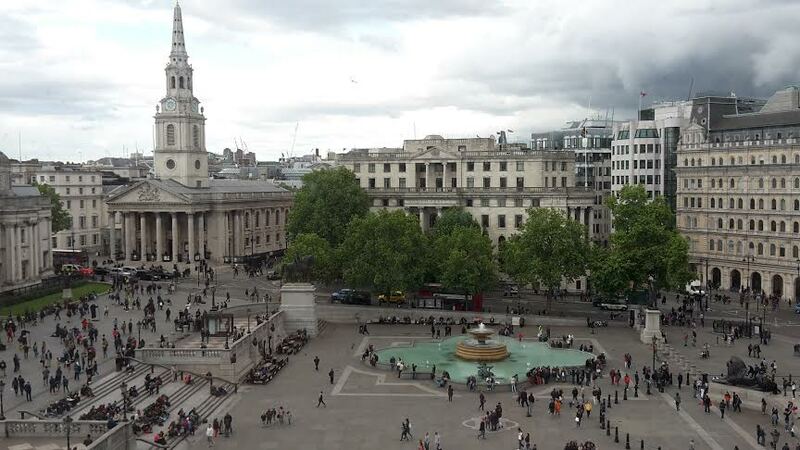 View of Trafalgar square from the attic. 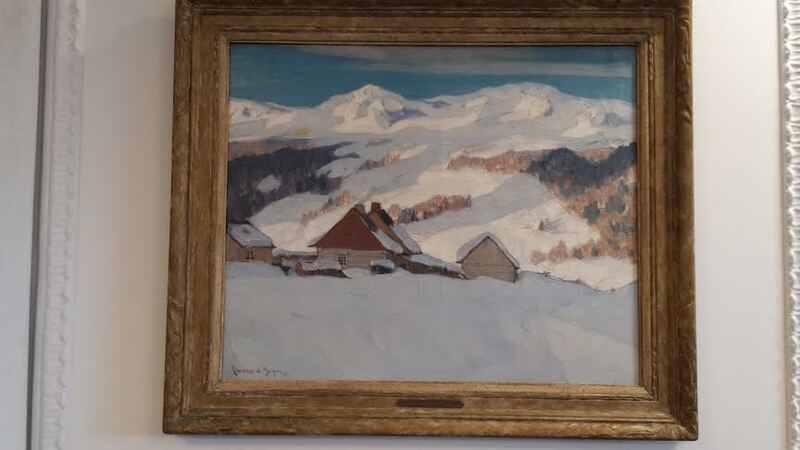 In the attic you can find an original Clarence Gagnon. 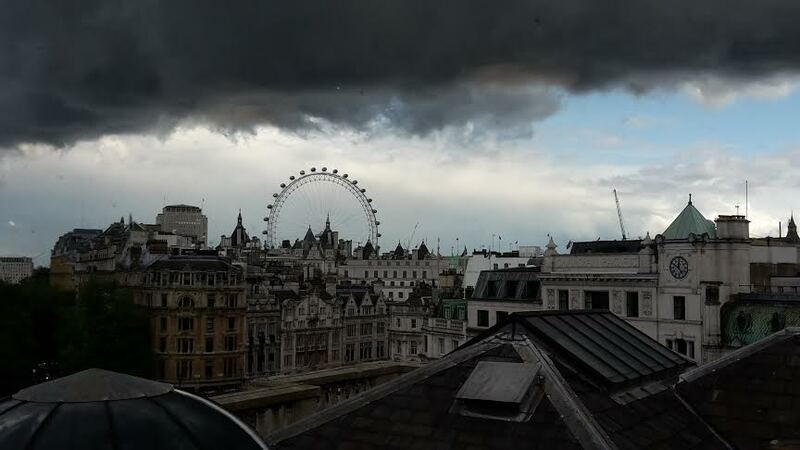 View of the eye from the Attic.